Croatia, a country of a thousand islands, bathed by sun and warm Adriatic sea. Irresistible charm of Mediterranean which will surely allure You. From Istria and Kvarner to Dalmatia there are thousand of reasons why millions of tourist visit Croatia every year. Tourists that search their place under the sun where worries and problems disappear, and happiness and beautiful sense of freedom begins, will feel the magic of unspoiled nature of the Mediterranean. Admirers of nature and healthy food will feel wonderful aromas and tastes of Mediterranean cuisine. From Istria to Dubrovnik there are numerous gastronomical delights, from wine, olive oil, sea specialties that makes every region of Croatia special and unique. Get to know Istria through the typical architectural venetian buildings, churches, bell towers, its coast and beaches. With its inland, Istria makes an unavoidable tourist destination. The Istrian peninsula is located in the northern part of the Adriatic sea, between the gulf of Trieste and the gulf of Kvarner. There are three rivers flowing through Istria; Dragonja, Raša, and Mirna, and in the northern part is the mountain Učka. 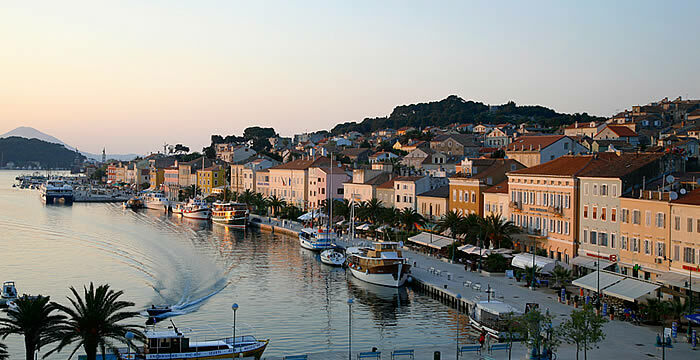 Kvarner, with the islands of Cres, Krk, Lošinj, and Rab, is the region that is known for its diverse climate and vegetation connects the littoral, inland, islands, and mountains. For centuries, Kvarner has united architecture and culture of diverse traditions. Kvarner is formed by the riviera of Rijeka and the littoral of Vinodol, along with the littoral of Velebit all the way to Karlobag. The gulf of Kvarner is protected by mount Učka from the north-west, a large mountain chain streching to another, Velebit, which is located on the south-east. Dalmatia charms with a myriad of islands, small islands and reeves, with the variety of beaches and beautiful cities. Some of the most famous cities are Zadar, Šibenik, Trogir, Split and Dubrovnik. However, some smaller cities and less known will also bring you back in the days. Nevertheless, Dalmatia is known as the 'Adriatic pearl'. Dalmatia is situated in the south-east of the Adriatic sea, and it spreads from the island of Pag (north) to Boka Kotarska (south). Islands in Croatia are a unique beauty of Adriatic and Mediterranean. Islands have their special beauty and charm. Every single one has a special beauty and unique attractiveness. Central Croatia includes a third of Croatian territory. It is located in the basin rivers Sava, Drava and Mura which are areas of special geological values, on the south Central Croatia is only 40 kilometers away from the sea. Plitvice lakes, ancient forest landscape Corkova bay ,beautiful Peter and Zrinska worse, biorezervat Lonja field as well as the historic fort Zrinski is essential part of the Central Croatian destinations.